Unfortunately, the greatest cause of death of adult kiwi in Northland is dogs. Dogs may not mean to kill kiwi, but kiwi smell fantastic to dogs and are easily crushed. A dog can kill a kiwi even just by picking it up gently in its mouth or giving it a playful push with its muzzle. Any size or breed of dog can be a threat even if it’s never killed anything before. The only sure way to help protect kiwi is to stop dogs from meeting kiwi. Luckily, this issue is easily solved – people are the key. 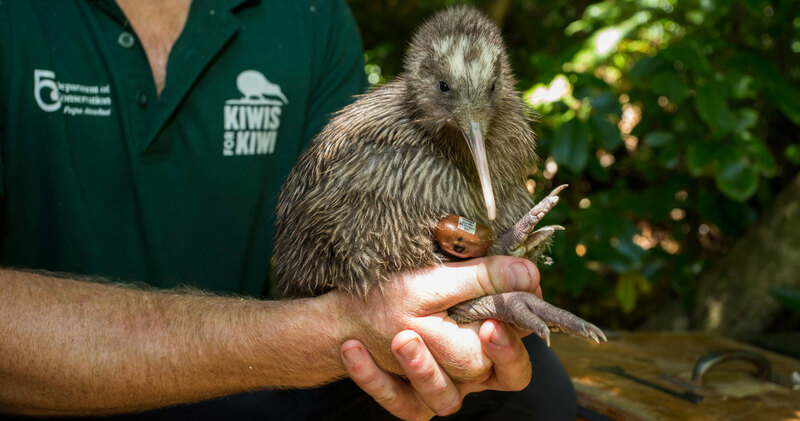 How can dog owners help save kiwi? Contained on your property, so there is no chance of them wandering. On a lead when walking (unless in an off-leash area). Registered and neutered (if you don’t intend to breed from them). Please keep your cat inside at night. This is when kiwi chicks are out and cats hunt most actively at night. You can also put a bell on your cat’s collar.